Roofs are often the most vulnerable part of a structure during high wind events. 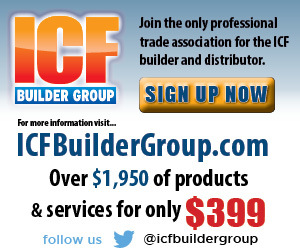 In hurricane and tornado zones, it is crucial that roof trusses are secured to the core of the ICF wall. If you’re willing to live in a cave or bunker, perfect protection from high winds can be guaranteed. Most of us, however, value aesthetics and day-to-day convenience very highly, so protection becomes something of a trade-off. According to Chuck Vance, who oversees the insurance industry’s Fortified…For Safer Living program, most of the damage and risk to life during hurricanes and tornados comes from flying debris. 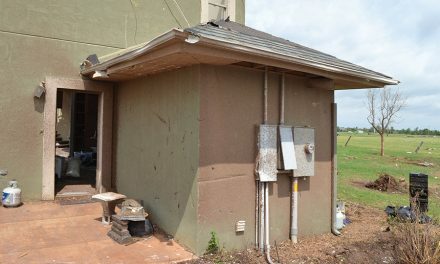 Windows and doors are the most vulnerable, but tests at Texas Tech University show that 2x4 wood studs easily penetrate wood frame and even brick-veneer walls. (See the video on our website.) The boards were shot at speeds up to 80 miles per hour—barely hurricane force. During tornados, winds two or three times that speed are not uncommon. 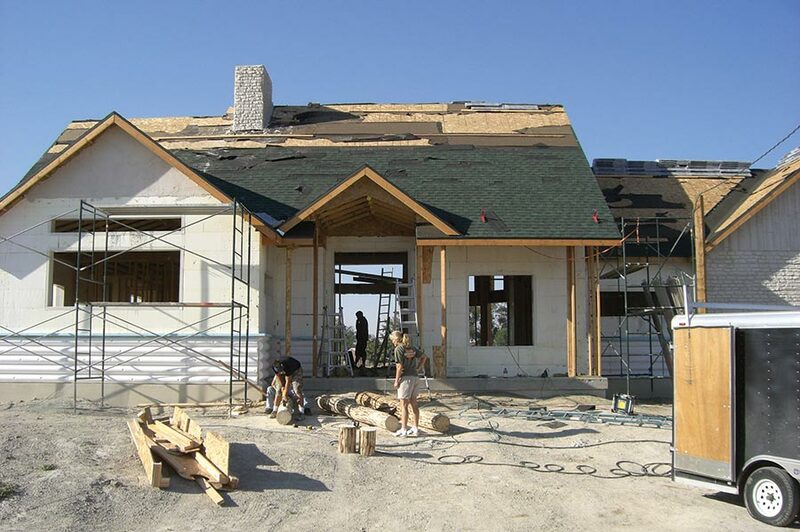 High winds can also cause the complete the complete structural failure of wood-frame homes. Often, the roof is destroyed, opening the home’s contents to the rain and weather that always accompanies strong winds. Dozens of real-world examples prove solid concrete walls are virtually hurricane- and tornado-proof. 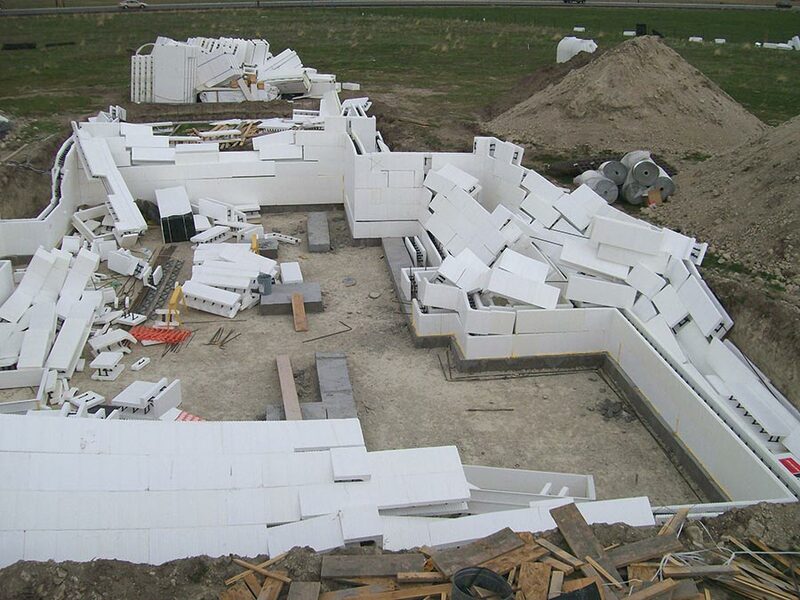 Many experts believe ICFs are the most cost-effective—and aesthetically pleasing—way to protect occupants and their belongings from wind-related natural disasters. 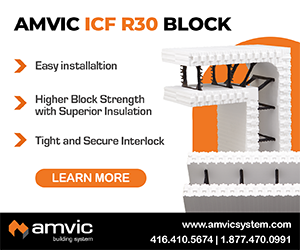 Perhaps the best solution is to build all exterior walls from ICFs, using impact-resistant windows or metal storm shutters on all openings, and a disaster-proof roof. Cloyd “Joe” Warnes, a professional engineer who has studied the issue for decades, claims that the only way to build a truly disaster-proof structure is to use a monolithic concrete roof. “Anything less than a total concrete shell cannot be classified as disaster-proof,” he states. Most homeowners, however, are unwilling to go to such lengths. “People make decisions about what parts of their home to save and what parts to sacrifice,” says Vance. A few builders have installed a sacrificial wood-truss roof over a flat concrete roof. In case of a disaster, the sloped roof is destroyed, but the home and its contents remain intact. Others sacrifice more, building just a portion of their home—the basement, or perhaps part of the above-grade living area—out of ICFs, knowing that the other areas may be destroyed. “Providing safety for people can only happen by including a ‘safe room’ in a home,” says Vance. In practical terms that means building a room with concrete walls and ceilings, no windows, and a door area that can’t be breached by flying debris. The ICF walls of this home in Gulf Shores, Miss. easily withstood Hurricane Katrina, although the vinyl siding did not. 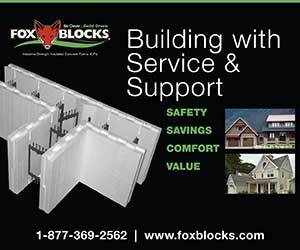 Over the past decade or so, questions have been raised on the performance of vinyl siding installed over foam sheathing and similar products, such as ICFs. Observed damage from high winds has led to discussions by the ICC and other code bodies to ban vinyl siding over foam sheathing and require solid backing such as OSB or fiberboard, even in areas where there is a low risk of tornadoes and hurricanes. According to a new report issued by the National Association of Homebuilder (NAHB) and the Vinyl Siding Institute (VSI), vinyl siding installed over foam sheathing and studs has a solid record of excellent performance under the wind conditions that are typical for most of the U.S. The key is that the product must be installed and fastened in accordance with the manufacturers’ instructions and building code requirements. Protection from wind is also important during the build. The contractor had stacked five courses of block and was getting to install bracing when a windstorm hit the jobsite (above). Luckily, the forms could be salvaged and the project proceeded with a minimum of delay (below). In the 2007 Supplement to the 2006 International Residential Code, the required nail size for fastening vinyl siding to studs was increased to a shank diameter of 0.120” and a head diameter of 0.313”. A sufficient length of fastener is required to accommodate the wall sheathing thickness and to penetrate a minimum of 3/4” into wall studs spaced at 16 inches on center. The report also has special recommendations for gable end walls, where damage from severe winds is more commonly observed. 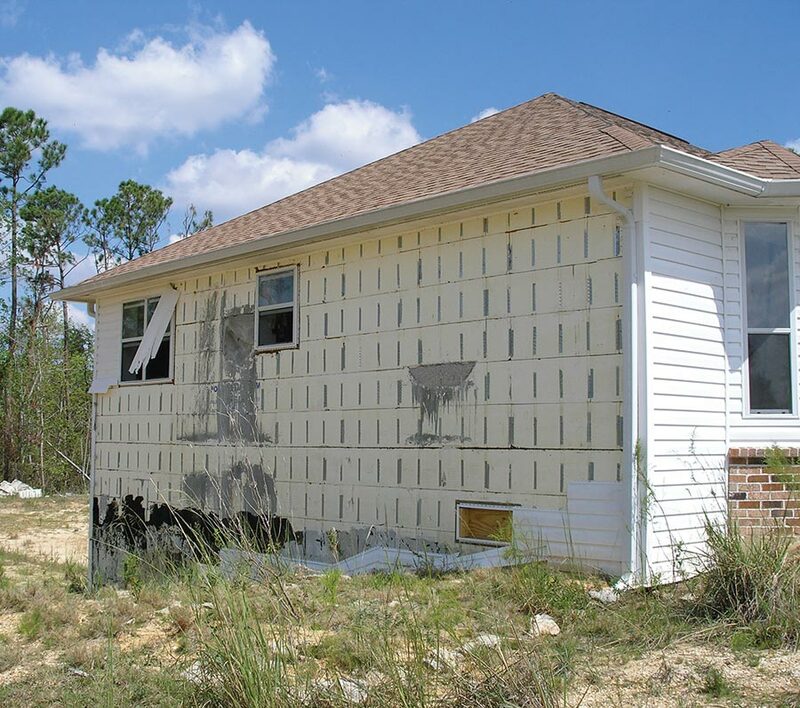 In hurricane-prone areas along the Atlantic and Gulf Coast, vinyl siding products can provide adequate wind pressure resistance, but often continuous structural sheathing is needed. 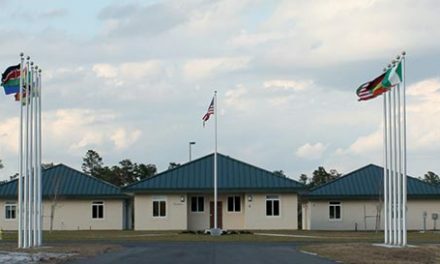 The recommendations are based on research and testing conducted by the NAHB Research Center, and were submitted for consideration at the upcoming ICC code hearings. Another somewhat contentious issue is whether polyurethane glues are sufficient for attaching items to the foam, or if mechanical attachment is necessary. Building inspectors and code officials have typically insisted on mechanical fasteners, while contractors have often found glues to be sufficiently strong and provide significant labor savings. Studies at Virginia Tech indicate that polyurethane glues are adequate fasteners in many situations. 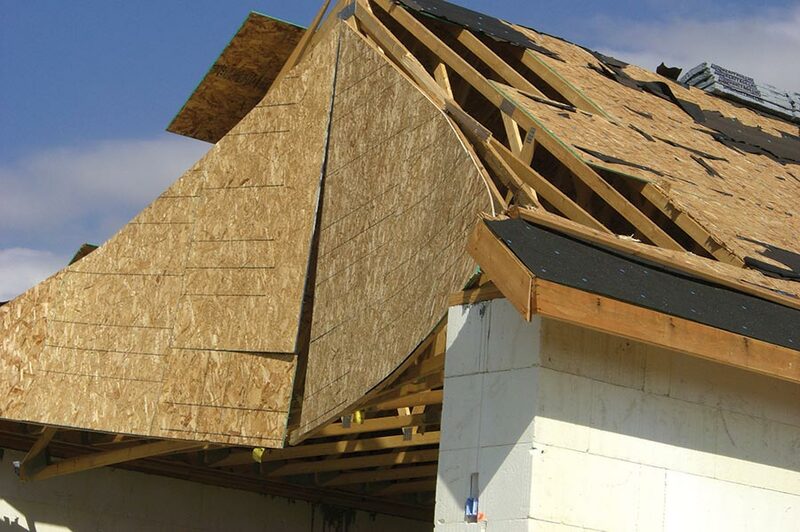 “Controlled studies have demonstrated polyurethane adhesives, used with mechanical fasteners in the framing of a house, can provide strong resistance to the damaging high winds of hurricanes and tornados,” says Lahman. The report is titled Acrylic Pressure-sensitive Adhesives in Structural Applications in Housing Construction, by William P. Jacobs et al. 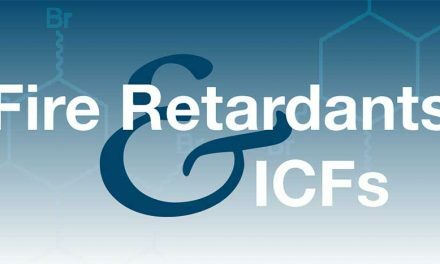 Wind-lock and Fomo Products both market polyurethanes for the ICF market. 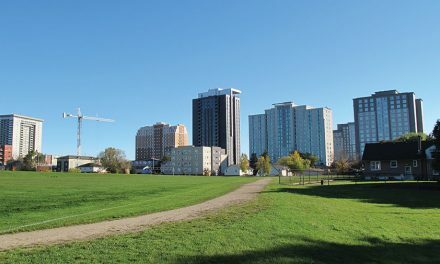 Lahman adds, “Design professionals looking for more information on current—and potential—uses of polyurethane sealants and polyurethane adhesives in both housing and non-residential construction should contact the Adhesive and Sealant Council (ASC) at www.ascouncil.org,” he says.